Uninsured Motorist coverage “UM” is mandated by New York State. 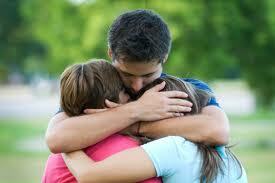 It protects the driver and passengers of a vehicle who are injured by uninsured negligent drivers. Each car insured in New York State must have, at minimum, the basic “$25K/$50K” coverage. That is, a maximum of $25,000.00 per injured person and a maximum of $50,000.00 to be divided among all injured persons. Confused? Here’s how it works. If a thrice-convicted drunk driver forgets to pay his auto insurance premium and kills a forty-year-old father of four by rear ending him into a concrete divider, the man’s wife can recover $25,000.00 from his own insurance company under his basic UM coverage. However, if one of his children is also in the car suffers a head injury and is permanently brain damaged, he too can recover $25,000.00. But if a second child is in the backseat and sustains bilateral comminuted “tib/fib” fractures, his wife and the two children will split $50,000.00. And not a dime more. “Wow,” you might wonder, “how can this family be financially protected from such an unfathomable tragedy?” That’s where “Supplemental Underinsured Motorist” coverage helps. If Dad has a $300K/$500K liability policy with DoRight Insurance Company, he can purchase SUM coverage up to the same amount as his liability coverage. 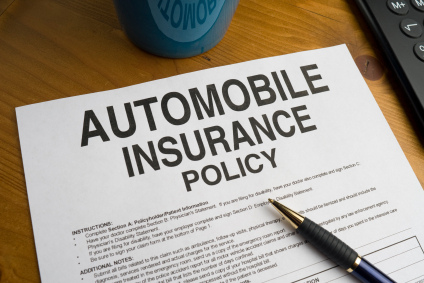 Then if the driver has no insurance or a policy with lower liability coverage, his own insurance company will indemnify him for the difference between the two policies. So, if Dad was alone in the car, his wife could recover $275,000.00 from DoRight. And if two or more people were in the vehicle, they will split $450,000.00 between them. Purchasing UM/SUM coverage for the same limits as your liability insurance makes sense. It’s the only way to protect yourself against uninsured and underinsured drivers. And who wouldn’t want to protect himself and his loved ones as much as he protects a stranger? Besides UM/SUM coverage is cheaper than a ten-dollar whore at a French seaport and UM/SUM claims are not “charged against” the owner’s policy. (1) IGNORANCE. 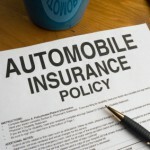 Many people just don’t understand how automobile insurance works. (2) STUPIDITY. Some drivers ignore the advice of well-informed and well-intentioned insurance brokers (most are in this category) who recommend that they purchase the maximum UM/SUM. (3) AVARICE. A few sleazy insurance brokers know that there is little profit to be made selling UM/SUM coverage and try to lure customers by selling policies with the cheapest premiums. (4) SLOTH. A few other brokers are too lazy to bother scrutinizing the policy or explaining to the customer how SUM works and why it is so important. Don’t fall victim to one of these sins. Examine your insurance policy. If you have the maximum UM/SUM coverage, pat yourself on the back, praise your insurance broker or thank your lucky stars. If you don’t have the coverage, wake up, get smart and find a good broker. Grandma lives with her cancer-stricken daughter, disabled son-in-law and their six autistic children. She’s retired and living on social security. But she’s still active and vital. She bakes a perfect pumpkin pie, helps out with the kids homework, pitches in to cook and clean and still has something left on her curve ball. She’s loved by all. One day she walks to Waldbaum’s to buy a quart of milk and some Fig Newtons for the kid’s after-school snack. She carefully looks both ways as the stoplight shines its steady green beam upon her. As she takes measured steps through the crosswalk, she is struck by a speeding drunk driver smoking a crack pipe. Grandma dies instantly. Should Grandma’s family be compensated? The New York State legislature says “No!” Strictly applying the wrongful death law, Grandma’s family is not entitled to compensation. Because she was retired, her estate suffered no loss of income. And because she died instantly, she didn’t suffer pain. The law provides no remedy. As he drank the hemlock, Socrates philosophized “the law is hard, but the law is the law.” If you don’t like it, write to your legislators and tell them to change the law. Grandma’s family will thank you. patrick crilley on Whose engagement ring is it anyway? Ally K. on Have Some Tricky Questions? We’ll Treat You to Some Answers.